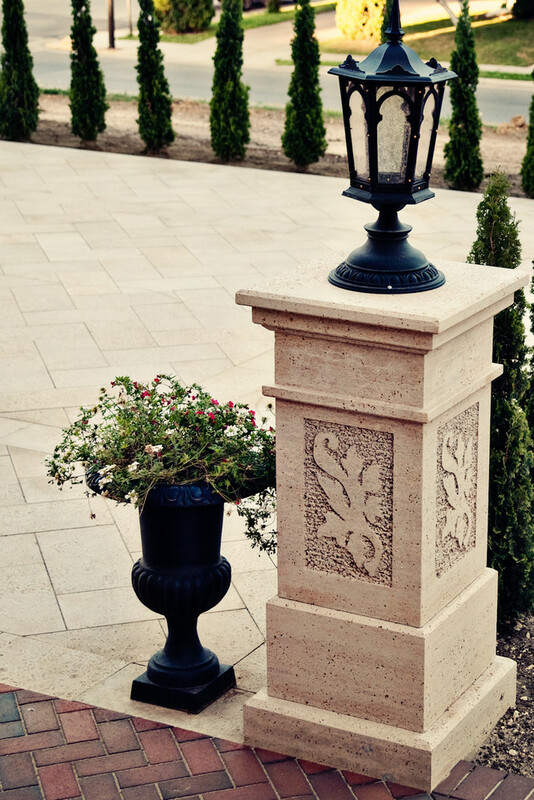 Biesanz Stone recently completed the English Garden at the Arcadia Area Historical Society and Wanek Art Center in Arcadia, WI. 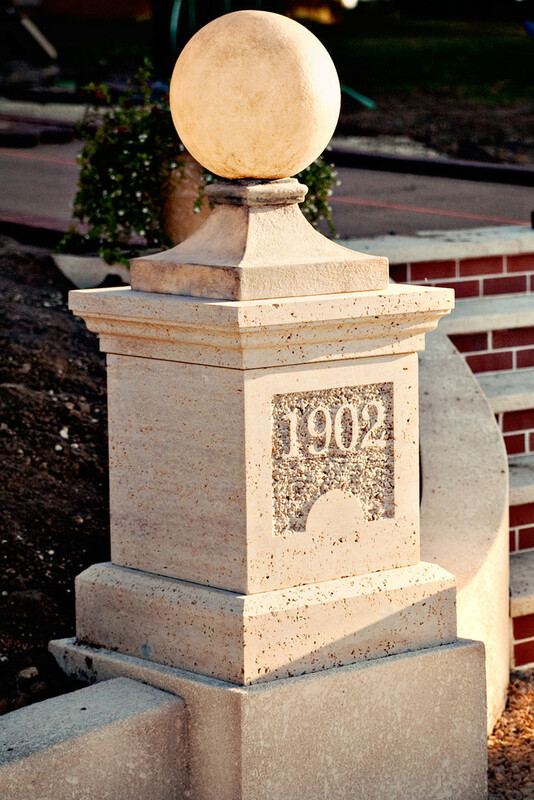 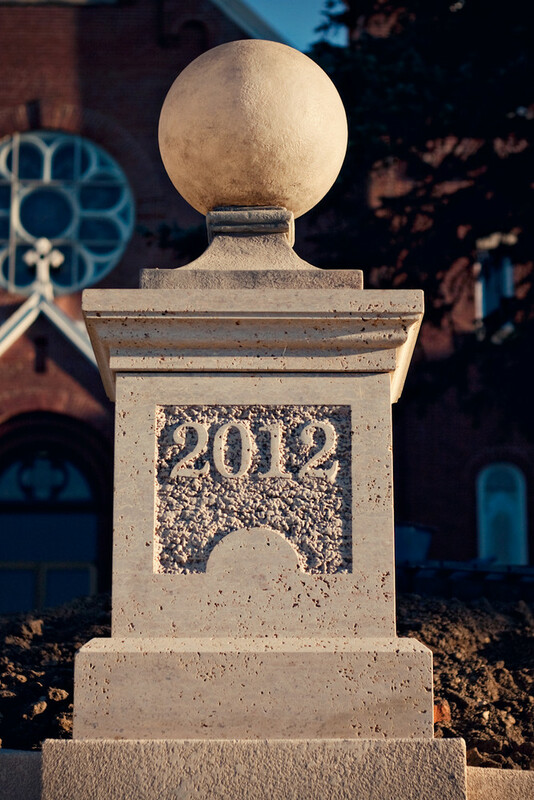 The garden was restored as part of a large restoration project to the former church, and features several Biesanz MDL pedestals with profiled edges and sandblasted reliefs. 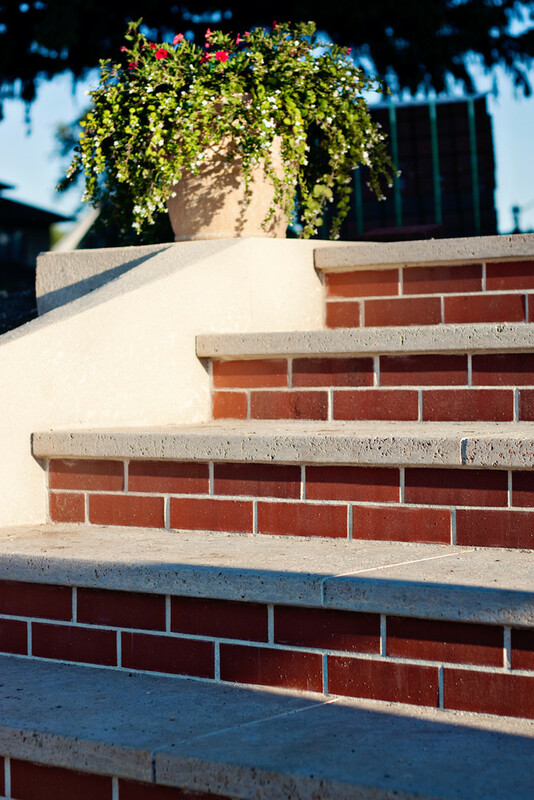 The project also features MDL pavers and step treads with a radius nose on the stairway.